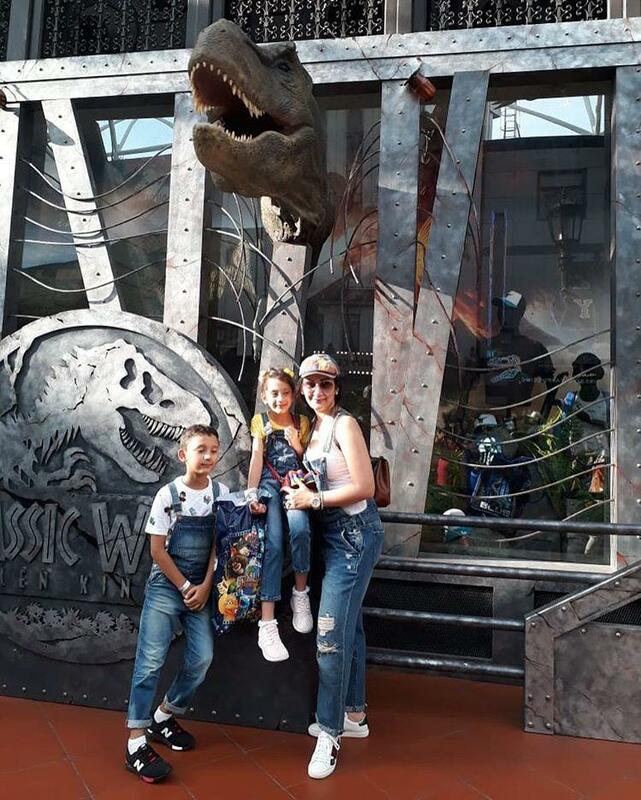 Sanjay Dutt, along with his wife, Maanayata Dutt, children Shahraan Dutt and Iqra Dutt, has gone to Singapore for a family vacay. 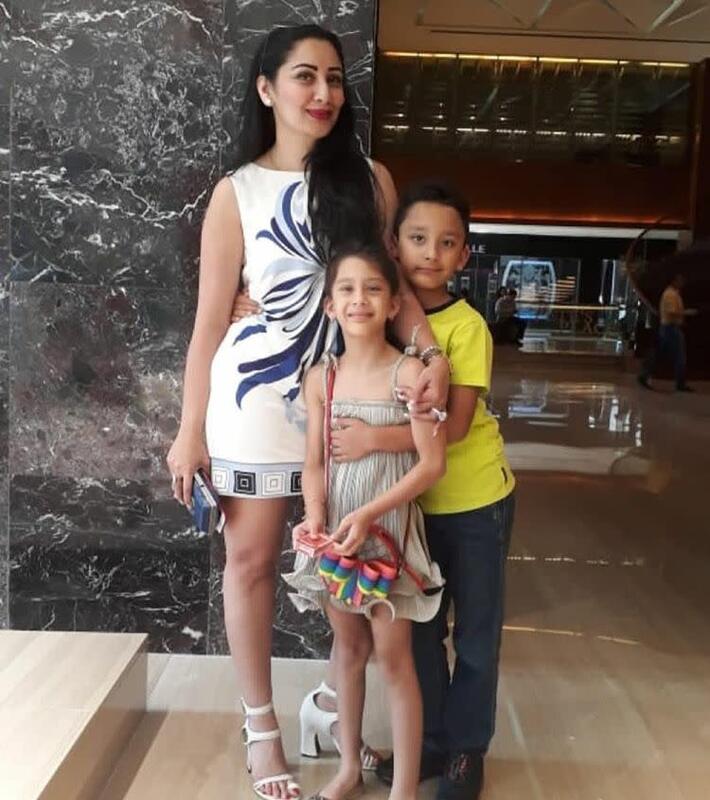 Maanayata, who is an ardent user of social media, shared some glimpses of the fun times during their vacation. 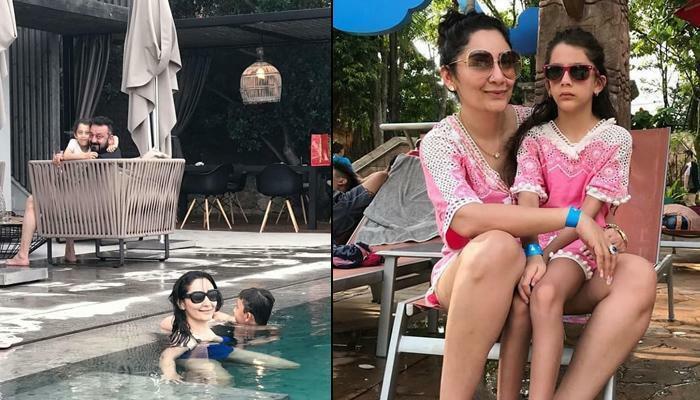 Maanayata posted the following picture enjoying some pool time with kids Shahraan and Iqra, and captioned it, “The Singaporean summers!!! #wetandwild #waterbabies #lovingtheweather #familyvacation #love #grace #positivity #dutts #singapore #beautifulife #thankyougod”. 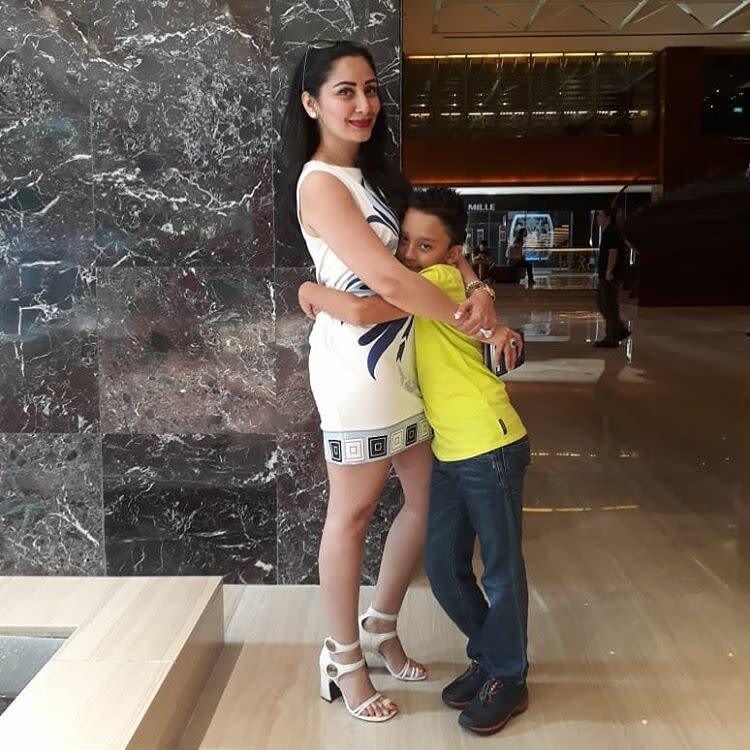 She then took her Instagram to share a loving snap of her son, Shahraan hugging her, and captioned it adorably, “I adore his smile.... cherish his hugs....admire his heart but most of all I love is that he is my son #shahraandutt #mylittlestar #aboutlastnight #dinnerwithkids #love #grace #positivity #singapore #vacationmode #beautifullife #thankyougod”. 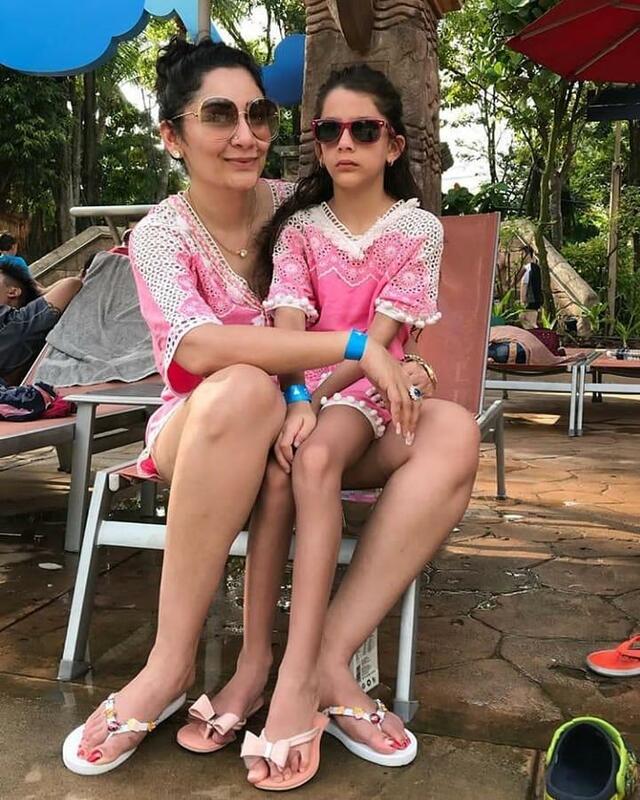 Another picture that got viral on social media is of the mother-daughter duo, Maanayata Dutt and Iqra Dutt, twinning in pink kaftans. After marrying Sanjay Dutt on February 7, 2008, Maanayata opened up about her marital life, and remarked, “Oh yes. I've never been happier. Sanju has stood by me through thick and thin. I've known him for nine years. We started seeing each other seriously in 2005. But he knew my past. So when 'friends' tried to provoke him he just laughed it off. He knew everything about me. When I was going through hell before my marriage, I'd pick up the phone and ask him for help. We're both very positive people and we like to live and let live. We both believe in forgiving. And we believe every saint can have a past. And every sinner can have a future."